Mobility for beginners! Fix tight hip flexors, lower back pain & sore shoulders. Are you ready to learn how to increase your mobility? If so, you've come to the right place. 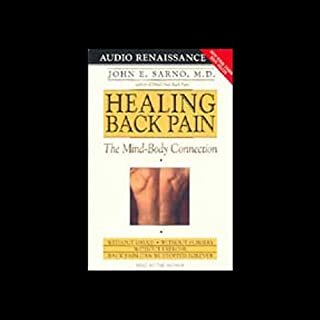 With case histories and the results of in-depth mind-body research, Dr. Sarno describes how patients recognize the emotional roots of their back pain and sever the connections between mental and physical pain - and how, just by listening to this program, you may start recovering from back pain today! Discover how to stop the pain from carpal tunnel syndrome! 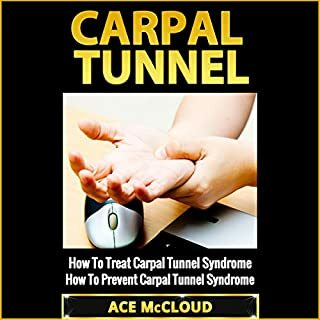 Whether you want to (1) get rid of the pain, (2) heal the inflammation, or (3) prevent carpal tunnel syndrome in the first place, this audiobook will teach you everything you need to know. Qigong [pronounced chee-gung], which literally means "working with the energy of life", is an integrated mind-body healing method that has been practiced with remarkable results in China for thousands of years. The Chinese have long treasured qigong for its effectiveness both in healing and preventing disease. Would you love to have strong and healthy hips? 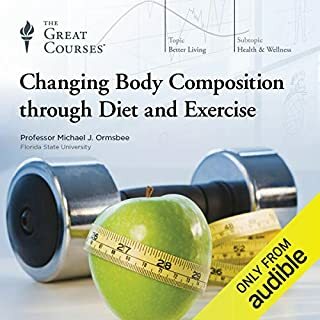 Whether you want to (1) reduce pain and increase flexibility, (2) discover the best treatment options, or (3) know how to care for your hips, this audiobook will teach you everything you need to know. Treat your hips well for optimal living. Our hips are critical to our ability to move effectively, so it makes sense to do what we can to keep them functioning well. I wrote this audiobook to give you options you may not even be aware of to keep your hips healthy and heal injuries before they become chronic. Stretching is essential if you want to sustain your hip joints. Discover easy-to-follow instructions for stretches that can sustain your hip motion and strengthen hip stability. Hip injuries don't have to be permanent! While you don't want to make your injury worse, you can gently nudge your hips toward healing. I have provided a variety of natural treatments to reduce the pain, begin the healing process, and rehabilitate your hips to return them to normal. Hip pain sufferers have better options than ever before. When injuries are too great for natural remedies to repair, medical treatment can offer relief. Many are minimally invasive. Even total hip replacement will have you up and walking almost immediately, returning you swiftly to pain-free active living. Learn what you can expect from modern medical treatments. End your hip pain and increase your mobility. Heal your hips: buy it now! What did you love best about Hip Pain? The exercises are the best. There are a bunch of them presented in the audio book and they are easy to do and actually do loosen up tight hips. Some of these exercises will also help prevent hip pain, so this book is great for those who have hip pain and for those that might have family members that have it and they do not want to be cursed with it. It is a non fiction book so there is no real story. What I did like, besides the exercises, was that the author explained all the types of hip pain and what causes it. This will help those that have the problem because you might be able to stop what you are doing to create the pain, and it will help those that don't have it yet by explaining how to prevent it. There were no characters, but I was impressed by Joshua Mackey's ability to make the exercises seem effortless and the way he read them makes me feel like I can do them. No extreme reactions. Much of what is in the book is common sense, but you need prompting to think of it. There are many other suggestions and tips that I never would have thought of if I would not have listened to the book. This book goes into almost every conceivable way to treat and prevent hip pain. I've had hip pain for years especially when laying in bed. I started some of these exercises and I no longer am plagued by it unless I stay in bed a long time. I am still working on the hip pain I have every day, but that might take awhile and some surgery. The book explains all the surgeries you can have for hip pain, which put my mind at ease, and it goes into other methods like acupuncture, acupressure, massage, yoga, foods that can actually help, supplements and natural remedies. It is a worthwhile book to have for anyone experiencing or wanted to prevent hip pain. READ THIS before trying anything for your pain! Would you consider the audio edition of Hip Pain to be better than the print version? I think it is quite more convenient to have this on audio. I love to listen to the narrator, Joshua Mackey. He has a engaging voice, almost like a voice on the radio. He keeps you listening and is never boring. He shows excitement and interests in what he is reading. Having this book on audio has enabled me to listen to this book while going on my walks, in the car and at home while cleaning. I love the audio books! I have listened to many of Joshua Mackey’s other narrations of Ace McCloud's books and have not been disappointed yet! I look forward to hearing Ace's books read so well by Josh. Stop wasting time, relieve your hip pain now! Find out which of the many ways will work for you now! It was the most comprehensive one I have read. What other book might you compare Hip Pain to and why? When I listened to this book, I was looking for something to help me with the pain of my fractured hip. This book talks about the same exercises and rehabilitation that my physical therapist discussed, so I am able to use it as a rehabilitation companion as I recover. It tells you why the exercises are important and exactly how to do them. It is like having my physical therapist right next to me. It also discusses a number of medical treatments which is helpful because I know what to expect at my various appointments. If you have hip pain, regardless of the source, you need this book. I've always suffered from periodic hip pain, whether it from sporting activities, sleeping in an odd position. Through this book I learned the many causes of hip pain, how to treat it through natural remedies and supplements as well as the best stretches and exercises to prevent and help heal the pain. This book has done an amazing job of helping me heal my hip pain and prevent it from coming back. Great book, highly recommended. This Hip pain book is wonderful for my hips. Actually, I have only one hip that is giving me trouble, but I've benefited already from the stretching and strengthening exercises. I appreciated the help wading through the myriad hip pain treatments out there, from the medical based to the natural. Thanks for the help! This is one situation where I found the audible format to be highly practical. While not designed as an exercise routine, still, the detailed step-by-step instructions helped me work through the exercises as they were described. I highly recommend this book to anyone who wants to prevent hip problems, or treat the hip pain when it flares up. Kick Hip Pain To The Curb! 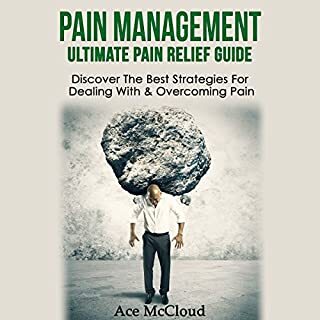 Ace Mccloud has another book on back pain that I recommend you read. The two can often come in tandem with one another. If you suffer from either one, its prudent to read both. Hip pain is will affect everything you try to do. You cant sit down because the sitting position hurts, you cant stand up because the pressure can cause inflammation. Even laying down for longer than a few minutes in one position can be agonizing in the worst cases. Say Goodbye to sleep. Joint pain is one of those things that gets worse over time. If you suffer from hip pain, PLEASE buy this book. It contains some easy ways that you can keep your hip pain from destroying your life. If you suffer from back pain, Ace Mccloud also has a book about that as well. I had a friend with hip pain so I got this book for him to read. He is getting a hip replacement this week but this book he said helped a little with the way he was walking "weird". He is feeling a little better and not in as much pain by some of the ideas in this book, so give it a try and see what it can do for you. Great all natural treatments for hip pain! If you are looking for inexpensive and practical things that you can do for hip pain then this is the audio for you! It gives full details on the exercises that should be done 2-3 times per week along with great nutritional supplements and foods that can help ease inflammation! After a few weeks of just doing the exercises and a few dietary changes my hip pain is all but gone... and it was plaguing me for about 6 months straight! Highly recommended! A great audiobook to end hip pain. Yes, I would. 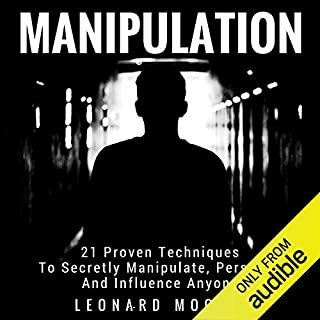 This book is filled with a lot of great information many would overlook or not see as helpful. The truth is, the book is incredibly helpful and can help relieve, if not end, hip pain! What was one of the most memorable moments of Hip Pain? I found chapter one to be one of the most memorable parts of this book. It had a lot of great information that could help people decide if the book is worth their time and could actually help them! Spoiler alert: IT DOES! No, but the book did have my full attention from the first sentence and until the very last sentence! 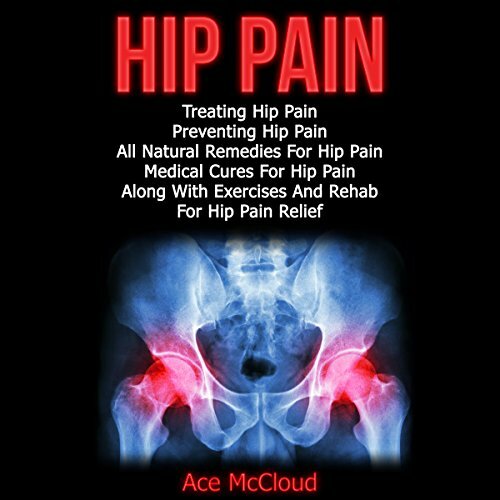 Hip Pain by Ace McCloud is a very helpful audiobook. Though many people whom would find this book useful are older ladies and gentlemen, it can help younger people who may have had an injury or want to ensure they live a pain free life when they are older. The tips and tricks in this book can help those who currently suffer from hip pain put an end to their suffering. I highly recommend this audiobook to anyone who wants a healthy, pain free life. I think one of the best things about getting pain books on audio is that you can listen to them while you are resting, which is what you should be doing when you are in pain. I have a dear friend who has chronic hip pain and has recently been diagnosed with Fibromyalgia. Although a disease like that has some directions that should be followed so the doctors know how you are taking care of yourself, you can get a lot of natural and safe tips from this book on how to help eliminate pain in your hips. I recommended it to her and she has mentioned that the many ideas offered in the book worked very well. I recommend it highly to anyone who has or knows someone who has hip pain that they want to get rid of without relying so much on medications and hospitals. I would recommend this to anyone suffering from even the slighetst of hip pain, I have been looking for good information on hip pain for months and this is truly the best I have found. It covers all areas of hip pain including causes, symptoms, maintenance, treatment, exercises, prevention and motivation. Now I know what is causing my pain and the best ways to try and get back to full health. The book has motivated me in to feeling better about my pain and trying to overcome it. Joshua Mackey's voice is always smooth, understandable and easy to listen to, making the book more enjoyable. The exercises and stretches are particularly useful and the whole book has changed my thoughts on the pain. I feel more motivated to do something now that I understand more. I really found this book on hip pain to be both interesting and very informative. The author does an excellent job of explaining how important maintaining our hip health is and sets out clearly some of the causes and symptoms of pain in this area. This section was very helpful. Another very interesting chapter filled with information was the one on prevention. For me this was the best part because the stretches and exercises are very clear to follow and for each one an explanation is given as to why it will help. Furthermore, the details on medical solutions and home remedies are balanced and offer helpful advice. I highly recommend this for anyone currently suffering from hip pain or eager to prevent it. This book will prove very helpful to you. This book will help you overcome hip pain. As someone who has suffered from intermittent hip pain since recovering from an accident that damaged the surrounding ligaments, I found this audiobook both helpful and motivating. 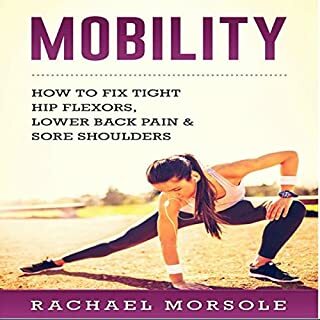 I would encourage anyone who is hitting 50 and beyond to consider the contents of this book as a preventative measure - or for potential treatments if you already suffer from hip pain. My own pain has been greatly helped by stretching and strengthening exercises given to me by a physio, and these exercises are outlined in this book. I think the chapter on natural treatments is excellent. and also appreciated the inclusion of a section on motivation - something that is needed both to rehabilitate after hip trauma or surgery and to sustain efforts to improve through other means. Joshua Mackey gives a flawless narrative in his engaged and interesting style which helps to hold one's attention for what could at times otherwise become a fairly dry subject. Really well worth listening to if you are looking for help in preventing or managing hip pain. Quite a few of my friends, although young have been experiencing a number of problems with their hips that has been causing them a lot of pain. I bought this guide to see if there was anything I could learn about the origins of hip pain and if there was any simple ways I could help them or pass on any tips for treating and coping with their pain. This book has a number of helpful exercises to help ease hip pain that I will passing on to my friends and hope that it will be effective. This Really Helped Me Ease My Hip Pain! I have been feeling a lot of body aches lately especially around my hips and I’ve been looking for remedies all over the internet. Nothing seemed to work for me. Well, there was one, but it was only temporary and I started feeling the aches again after a short while. That convinced me to try harder in looking for a better solution and so I did! I found this book on Amazon and I thank God for this! The book contains really helpful tips and techniques and it has really helped relieve the pain. I don’t regret buying this book and I definitely recommend this to anyone who’s having some hip pain like me. Apart from the tips it gives such as the best ways to treat it, it also helps you understand what causes hip pain, how to prevent it, what natural remedies and supplements can be helpful, some exercises to strengthen your hips, and so much more! This book has really been my saviour! Thanks to the author of this audio book! Excellent solutions for hip pain. Would you listen to Hip Pain again? Why? "Hip pain" presents different types exercises that help you stretch and massage your hips. My favorite are hips bridge, butterfly stretch and hips rotation. It really helps you keep your body in a good condition. Also valuable are legs exercises like front to back leg swings or side to side leg swings. It is great exercises that you can practice every day and don’t need any special equipment. Good tips are to use foam roller to massage your hips and tights in different direction. Very practical are also hips wraps that are described by name, brand and place when you can buy. It is very supportive tool that helps you to achieve extra stability. McCloud advises variety of medical therapies like laser therapy, acupuncture, pills, steroids and oils. Also the cheapest way is to invest in electronic massager that saves your time and money. The most emotional is part about radical option that is hip replacement surgery that can be very risk and includes long rehabilitation. The author gives example of his father as he suffered after the surgery and needed to have several surgeries because of bacterial infections. As prevention from hips problem McCloud advises natural remedies like Omega 3 fatty acid witch are in fish like salmon and others species. Also products contain vitamin D and calcium are really good as your diet supplement. All about hip pain in only 50 minutes! Nothing much to say about this one, it's a very short and a very informative audio book regarding hip pain. What I liked about it is the list of exercises that can be used for rehabilitation purposes - they are all very well explained which makes them easy to implement in daily life. It covers who is the most prone to experience hip pain and has some great advice about natural solutions for hip pain. Since it's more "practical" book they best way to use it is to follow all the suggested exercises. Good luck!